In a city where the most famous landmark is a mountain, it's only fitting that in this picture comes a wide selection of hiking and walking trails to discover and enjoy. 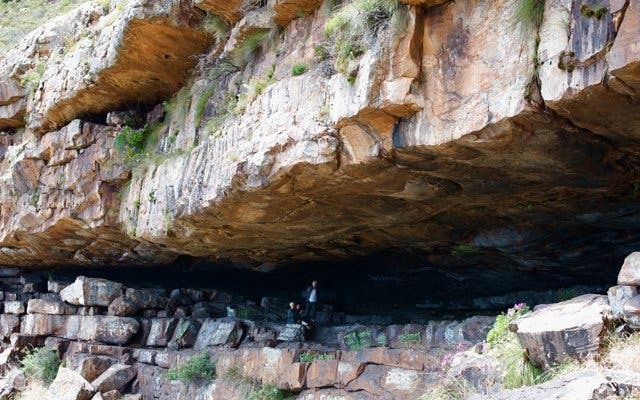 There are caverns and caves called Tranquility Cracks in Table Mountain. The safest and easiest route is via Corridor Ravine. Begin at the Theresa Avenue entrance to the Pipe Track. Make your way to the single track. After the entrance to Slangolie Ravine (don't take this route), start looking out for Corridor Ravine. Just around the corner from the cave, in the next ravine is the steep Corridor Ravine. When you get to the top, turn left onto the hidden path at the large pile of rocks. If you can see Lion's Head peeking out the top, you've gone too far. 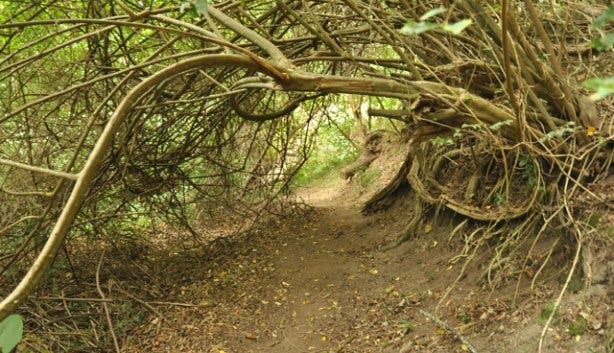 Head along the narrow and bushy path until you can turn left into another overgrown path leading to the caves where you can explore. You can return along the same path or alternatively, return via Kasteelpoort. This hike begins from Kirstenbosch Gardens. Skeleton Gorge is a scenic trek that's ideal in dry conditions. During the summer months, there is shade along the Afromontane forest nearly all the way up Skeleton Gorge. Bear in mind that this hike can get quite strenuous, so be prepared to really work those muscles; and take the necessary safety precautions. Pack some refreshments to enjoy at the white-sand beach on top at the far end of the Hely-Hutchinson Dam. The water is a bright, clear orange colour thanks to tannins that leach into the water from the fynbos. The white sandy beach developed over the course of more than 100 years by the wind and water weathering the natural sandstone on the mountain. Only a 20-minute walk up from the Kloof Corner Parking, it's easy to squeeze in sundowners after work. Follow the winding Tafelberg Road up to the cable car until you find Kloof Corner parking, which is on the last bend before reaching the cableway. From the signpost, some stairs take you up to a path up the hillside. Keep an eye out on your right for a chain hanging down the cliff. This is the start of the climb up chains and through a narrow chimney until you find the ledge where you can relax and enjoy the views of Camps Bay. You may have spotted this cave from Philip Kgosana (formerly De Waal) Drive, it’s a crack in the mountain that invites exploration. 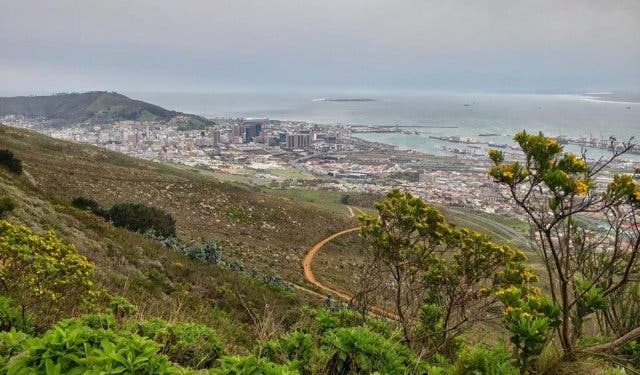 You can reach it from either Rhodes Memorial or from Tafelberg Road; both routes offer expansive views of the city below. Read more about Woodstock Cave. This hike above Cecilia Forest takes you past different types of flora: you’ll spot sundews on the wet rocks alongside Bridle Path, grasses and bushes on the plateau and the occasional red disa near the reservoirs. 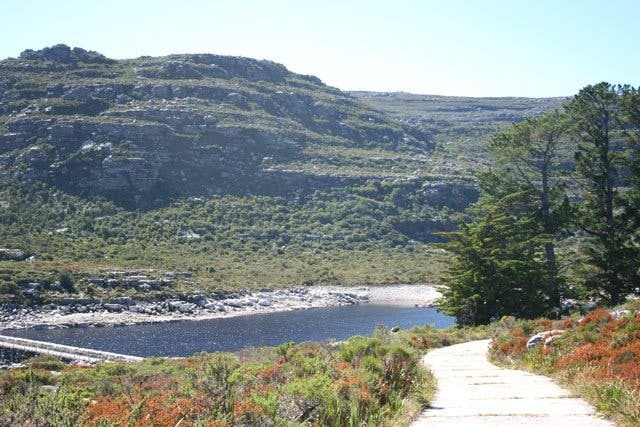 This hike takes you all the way to the top of the other side (the “back” side) of Table Mountain; it’s quieter than the front side and has the added beauty of large water reservoirs. There are various routes to the top, but they are all fairly strenuous, so if you’re not used to hiking then rather start with something a bit shorter. Read more about Bridle Path and Nursery Ravine. 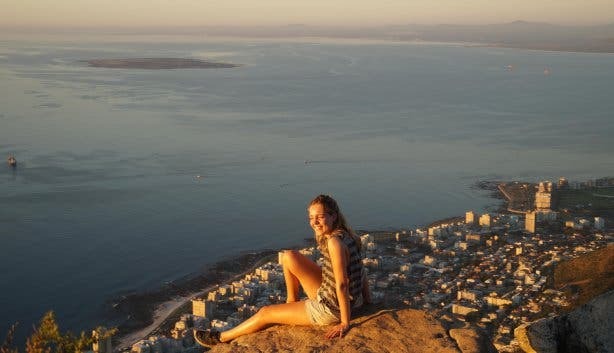 This short summit offers panoramic views of Cape Town and unbeatable sunsets. It’s popular for after-work hikes and on nights when there’s a full moon. There’s a little bit of climbing involved, but there are handholds and chains to help you on your way up and down. You can also take the roundabout way, which skips the climbing part, making it suitable for hiking with children or dogs. 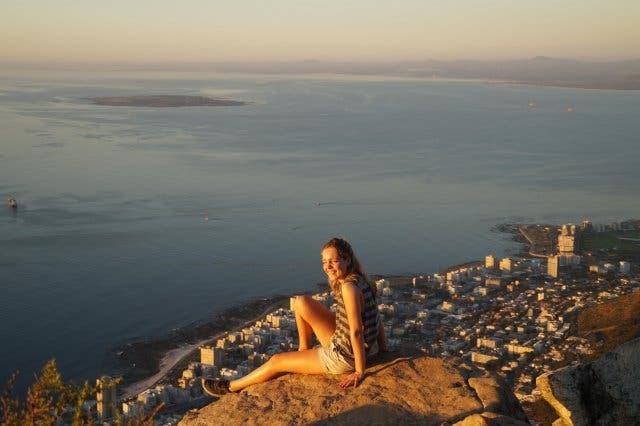 Read more about the Lion's Head hike. This path zig-zags up from Tafelberg Road (where the Cableway station is) and then takes a steep route up to the peak. There are fantastic views of Table Mountain and the city below once you reach the top. Read more about Devil's Peak. The climb up Kasteel Poort is not for the unfit; from the top, you can see all the way across the Twelve Apostles mountain range, and once you reach the front of the mountain, the city views are incredible. Read more about Kasteel Poort. If you’re in the city and craving a nature fix, then this small reserve on the lowest slopes of Table Mountain is your solution. You can walk your dogs or just go for a stroll in this forested area. Once you’ve walked up a bit, you’ll have a clear view of the mountain right ahead, and here you can choose to link up to a longer hike if you’re up for it. Read more about Deer Park. Elephant's Eye is a large cave in the Silvermine Nature Reserve that resembles the head of these majestic creatures. 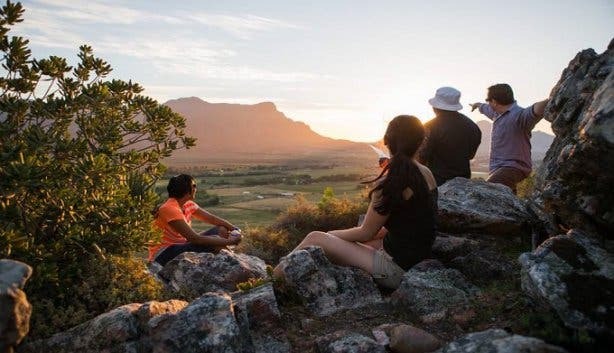 Though all the way across the city from Table Mountain itself, the reserve is still part of the park and has great picnic spots next to the reservoir where you can have a braai. Read more about Elephant's Eye. This is also in the Silvermine Nature Reserve, but on the side overlooking Muizenberg. 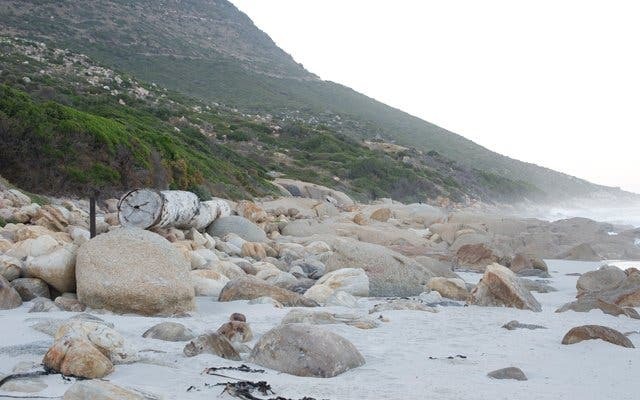 It offers fantastic views, interesting rock formations and plenty of untouched fynbos. The slopes on the east side are covered in ericas in various shades of pink, depending on the season, while leucadendrons and Asteraceae provide a splash of yellow in spring. Read more about Silvermine East and Steenberg Peak. The aptly named Pipe Track follows a pipe that passes along the Twelve Apostles mountain range. 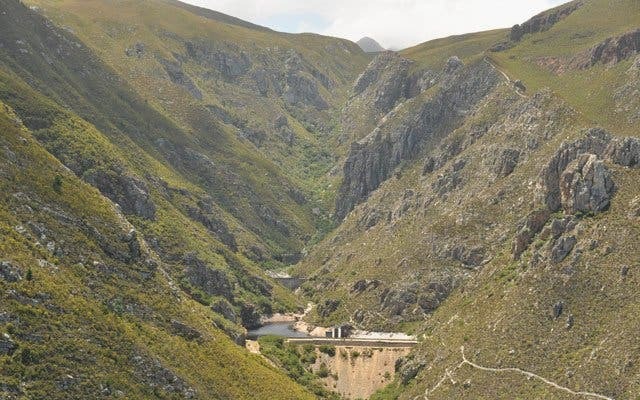 The pipeline was built to transport water from Disa Gorge (in Table Mountain’s Back Table) to Molteno Reservoir in Oranjezicht in the late 19th century. 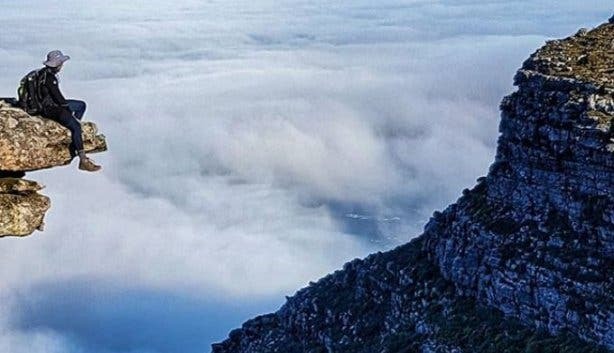 Once you are parallel with the Twelve Apostles Hotel, the otherwise mostly horizontal route then loops upwards towards the top of Table Mountain. Along the way, peculiar-looking windswept trees depict the force at which gusts sweep down the mountains. The unobscured views of the Atlantic, along with benches, bridges, the exposed industrial pipe, waterfalls, caves and sheer drops make for great photo opportunities and picnic spots along the way. 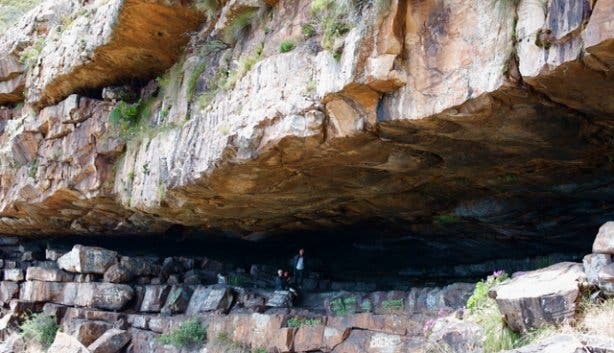 The Boomslang Cave lies above Kalk Bay. From Boyes Drive, head to the sign indicating Echo Valley. This is the start of the trail to the caves. The cave should be marked on Google maps, but it's your choice which entrance to use. Bring one headlamp for every hiker in your group because the cave is dark, but don't shine the headlamp straight at the bats that live in the cave. If it's been raining, be prepared to get wet and dirty. Park at Rhodes Memorial, and follow the signs to the Kings Block House. From there climb up Mowbray Ridge before moving along Knife’s Edge. Keep going to the minor summit of Devils Peak. If you’re not an experienced climber, go with someone who has done the route before, as it can be steep and tricky. The beach walk follows a stretch of white sand to the rusty wreck of the SS Kakapo. The massive SS Kakapo steamship was en-route to Sydney when she ran aground on 25 May 1900. From the parking lot on the Chapman’s Peak side of the beach, follow the boardwalk and turn left on the beach named Long Beach. It’s best to time this walk at low tide. This isn’t your average stroll along the beach, but the scenery makes it all worth it. 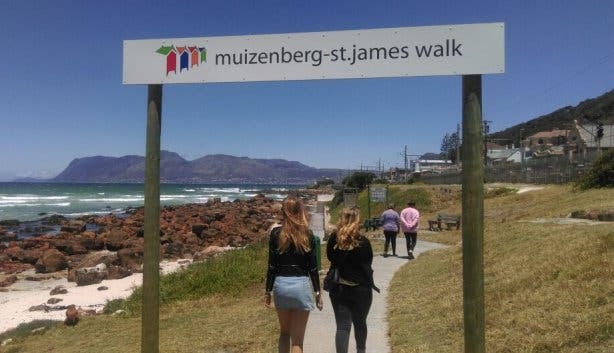 Set in the Cape Point Nature Reserve, this route may have you hiking next to a herd of bontebok or a troop of monkeys foraging in the rock pools. If that’s not enough excitement for a seaside stroll, there are shipwrecks dotted along the wild beaches for you to explore. 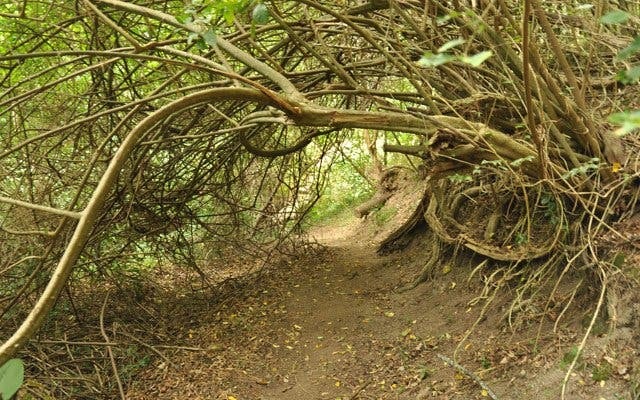 Read more about Olifantsbos Shipwreck Trail. 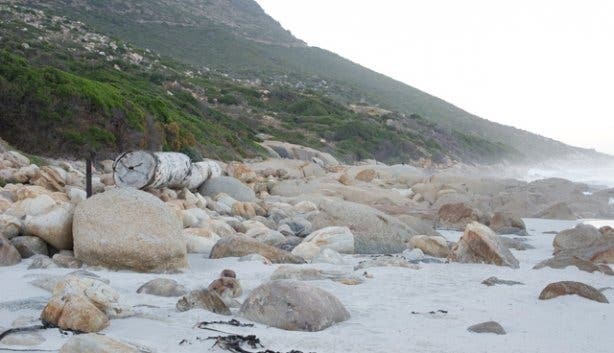 This beach walk offers vistas of rocky outcrops and expansive shoreline, and it’s the only designated nudist beach in Cape Town. Sandy Bay is a gorgeous stretch of beach with soft white sand, rock formations and interesting seaside plants. Read more about Sandy Bay. 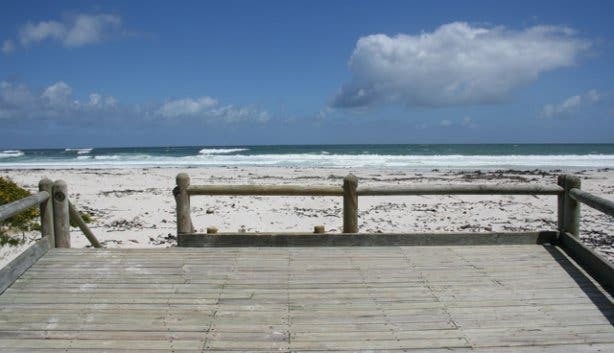 This gorgeous, seaside walkway winds its way along the beach and rock pools in Muizenberg. You’ll want to time your walk with the tide, as the breaking waves can get a bit too close for comfort at high tide. 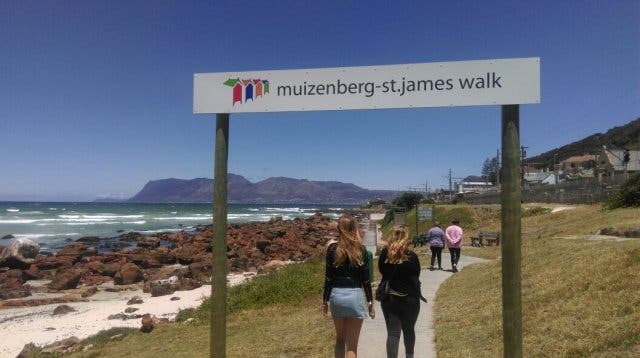 Read more about Muizenberg Mile or the St James Coastal Walk. 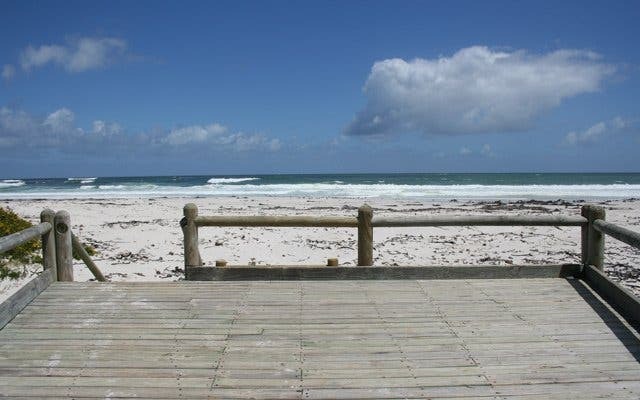 Macassar Dunes Conservation Area offers many activities paired with views across False Bay and extends all the way to Kogelberg and Hangklip. The latter includes wonderful picnic spots, fishing in designated areas (permit required), hiking, swimming and bird watching. Trees stretching up high above the shady paths, streams to splash in, and plenty of paths leading through the forest and up onto the mountain slopes above it can all be found in Newlands Forest. The routes we’ve chosen take you up onto these slopes, but if you just want a quick walk this is an ideal spot to take your children for a walk and to walk your dogs. Read more about the Newlands Forest contour path hike. 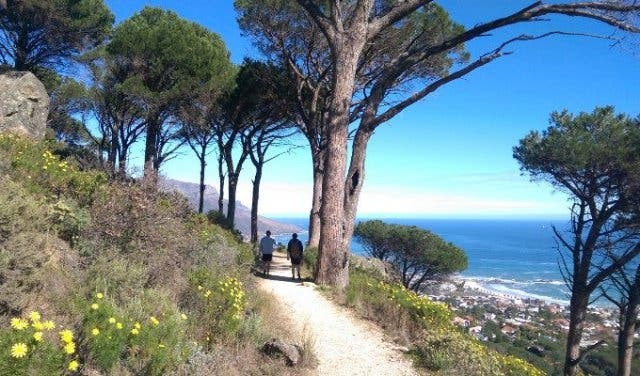 You’ll need to hike up through the lower slopes of a fynbos-covered mountain near Kalk Bay before you reach the Spes Bona forest, but it’s worth the trek. A raised wooden walkway winds its way in among the old gnarled trees that are kept alive by the constant dripping of water running down the mossy cliff on the right. Read more about the Spes Bona Forest walk. Popular with cyclists, this forest is also great for a quick stroll or a steady climb up to the mountain slopes above it. The majority of the trees aren’t indigenous, but they still shade the paths. 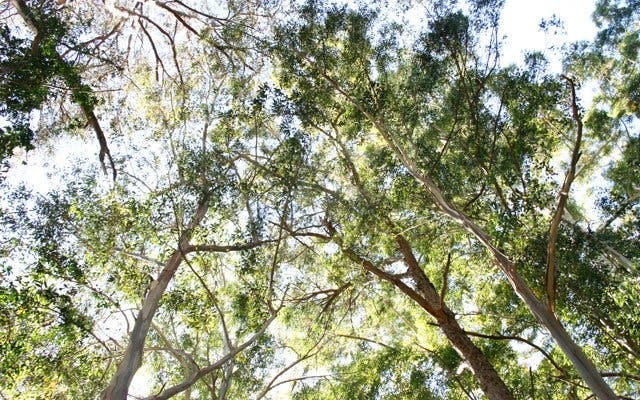 Read more about the Tokai Arboretum walk. This dense green belt in Constantia is surprisingly large; the path leads down into the valley leaving you feeling as though you’ve been swallowed up by the forest. It’s a dog-friendly, kid-friendly haven of nature in the suburbs. 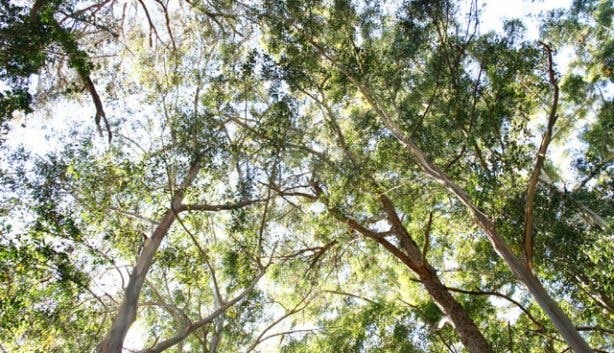 Constantia has a number of green belts to walk in throughout the suburb. Read more about De Hel. Save this one for summer as the path leads up a river to two spectacular rock pools, which can be icy even when it’s warm. The walk itself isn’t too long, so you can spend plenty of time swimming in the mountain pools. Read more about the Krom River hike. Not one for the fainthearted, this is an extreme hike with very high jumps down the river into the pools below. We recommend doing this with a guide as it can be dangerous. You can see ericas, proteas and indigenous trees in the thick fynbos covering this peak. You also have the added bonus of breathtaking views of Hout Bay, Fish Hoek and Gordon’s Bay. Read more about the Chapman's Peak hike. It’s a short, steep climb up this Simon’s Town hill to the grave of Cape Town’s most beloved historic canine, Just Nuisance. The Great Dane is the only dog to ever be enlisted in the Royal Navy back in 1939. The walk to his grave is moderate but very scenic. From the top you’ll have a bird’s eye view of the seaside suburb below, and if your timing is right, you may even hear the sound of naval trainees and their marching chants. Read more about the hike to the grave of Just Nuisance. Situated along the West Coast in the little town of Mamre, this National Heritage Site has picnic spots, short trails and a 1.5-hour trail walk. The 254ha reserve has an abundance of vegetation and small animals such as caracals and various reptiles. Pack your picnic basket and make a day of it. Situated in the heart of the Southern Suburbs of Cape Town, Meadowridge Common is a small protected area of about eight hectares. The common boasts endangered fynbos, which is indigenous to Cape Town. During September and October, you can expect gorgeous floral displays, as well as a number of insects, birds and amphibians – the endangered Cape Rain Frog has also been spotted here. The Common offers a relaxing environment suitable for anyone looking to just enjoy being outside. 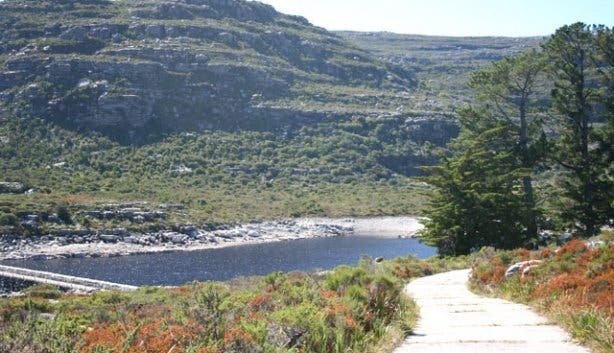 Less than half an hour from Cape Town, and a short drive from the northern suburbs, this nature reserve is a great place for a walk or jog. This piece of nature is home to quite a few birds of prey, as well as small striped mice scurrying through the undergrowth. 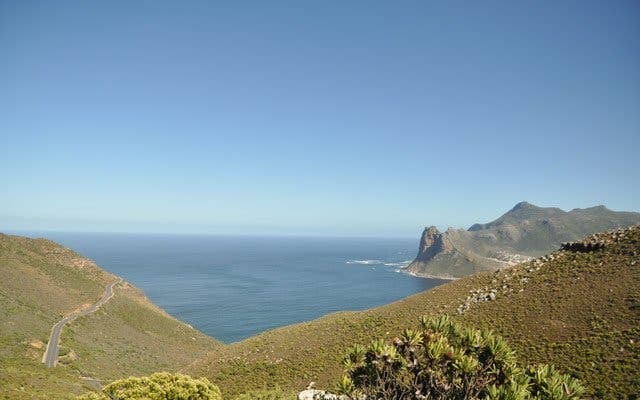 It’s not an expansive reserve, but it does offer a great view across Cape Town from the various picnic spots. Here you’ll find all sorts of indigenous fynbos, as well as an Afromontane forest. There are sections devoted to fragrant plants, edible plants, medicinal plants and other interesting sub-categories. It’s also a great place to learn a bit more about indigenous species as plenty of information is available. 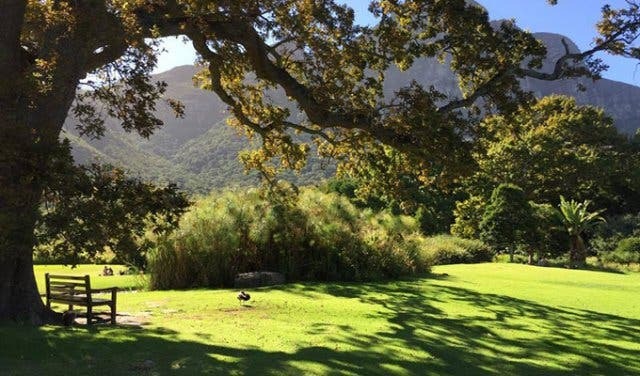 Read more about Kirstenbosch hikes. This Stellenbosch nature reserve is home to the majestic Jonkershoek Mountains and parts of the Jonkershoek valley. The rugged Jonkershoek Mountains, which form part of the Boland Mountains, are ideal for hiking and are rich in plant and animal life. You’ll find ericas, watsonias and plenty more in a dazzling display of fynbos finery. The reserve is home to some 1600 mountain and coastal species of plant. The Paarl Mountain Nature Reserve is about an hour’s drive from Cape Town. Rock climb to the top of Bretagna Rock, a granite outcrop, for fantastic views (you can see as far as Table Mountain on a clear day). 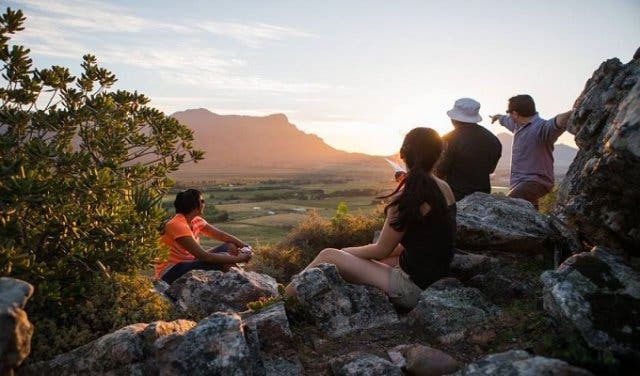 Just an hour's drive out of Cape Town, this route leads you past the picturesque vineyards of La Motte and up through the surrounding mountain range where you can see the indigenous plant and wildlife that the winery is making a concerted effort to protect. Every Monday, La Motte hosts a Guided Hike, which starts at the Tasting Room and stretches for five kilometres over 2–3 hours. A knowledgeable guide leads and informs hikers about the flora and fauna of the Franschhoek Valley. Hikers also receive a hiking trail map, water and light refreshments when stopping for a breather at the lapa. Self-guided hikes are available Mon–Sat from 9am–2pm. Read more about hiking at La Motte. Have we left anything out? If you know of an incredible hiking spot or a great place to take a walk, please let us know. 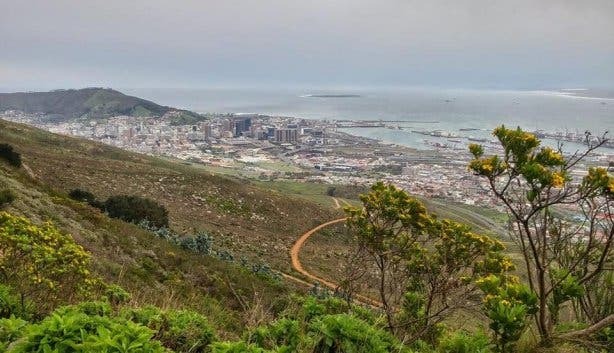 Find out more about other hiking, walking routes and nature areas If you’re new to Cape Town, please make a note of the rescue and emergency numbers in hiking safety guide. If you prefer something less strenuous, check out some local rock pools and hiking rock pools. If you're active, you'll love the thrill of kayaking or kitesurfing. Try out seal snorkelling, diving, SUP and boat trips with Ocean Experiences. Adventure-lovers, for a fun day you can rent a Harley. Take a day trip for an awesome family adventure or check out our list of cool camping sites. Live on the wild side and visit Cape Town’s first adventure lodge: Zeestock.